I hadn't written yet about the remainder of my Mexico trip, so here it is. I got back from down south about four weeks ago. Thanks to the truck being searched twice at the US side of the border I was ten minutes late for the UT Grotto meeting, but overall I didn't experience any trouble driving through Mexico. So how did I spend the three weeks after the Puebla expedition? 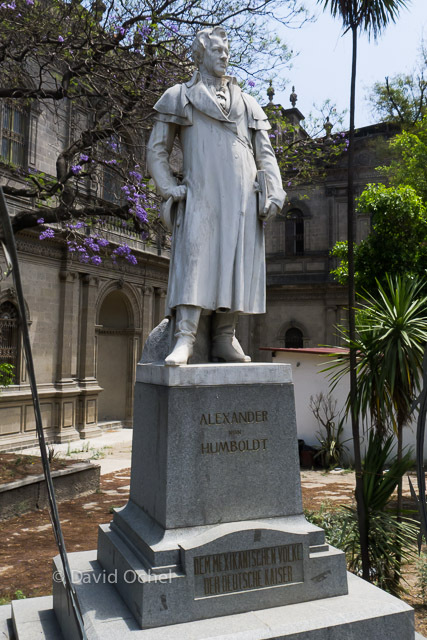 Alexander von Humboldt statue in front of the (ex-?) National Library in Mexico City. 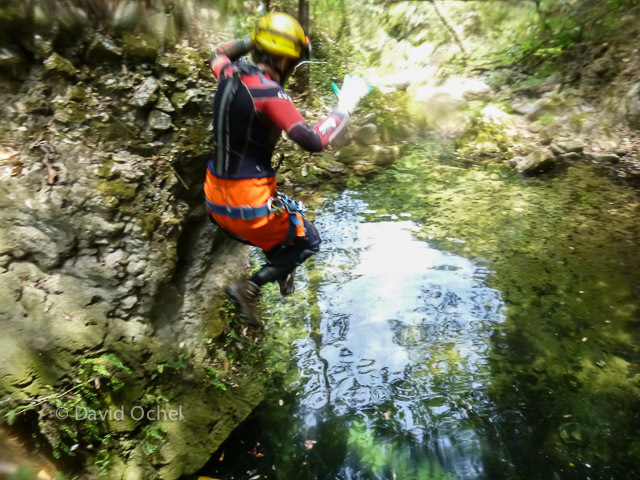 We headed toward Pinal de Amoles in Querétaro for the weekend, intending to go canyoneering. Spending the night in the picturesque (but loud) mining town, our group of a handful hiked from the town center toward the canyons the next morning. After some way-finding we made it to the upper part of the La Barranca canyon and had a blast hiking, rappelling, sliding and jumping into the water pools. Instead of returning to D.F. (Distrito Federal, aka Mexico City) afterward, I decided to spend a few days in the touristy capital of Querétaro, where I got surprised by plenty of coffee shops with real espresso, and really good microbrews served in a few spots. If anybody is looking to relax in a touristy and safe setting, I recommend it! Jumping one of the shorter drops of La Barranca. My last two weeks were spent in San Luis Potosí, staying with the parents of a good caver friend of mine from Austin. 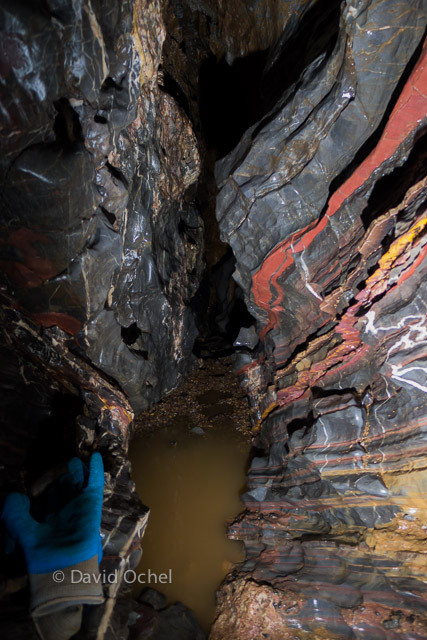 I didn't get to do quite as much caving as I had initially hoped, but I know what it's like to have to work during the week and only be able to go caving on the weekend. ;-) So I enjoyed a constant supply of fantastic food cooked by the doña of the house, and spent some time walking around the (quite scenic) old part of town. However, I also scored an awesome "tourist" trip into what is now San Luis Potosí's deepest cave. I was invited to tag along to pick up some cavers from their long weekend of exploration, and this unexpectedly turned into a day trip down to Camp 2 in the cave (at -500 meters or some such). A very beautiful place! Cave passage in San Luis Potosí. Glove, umh, for scale.